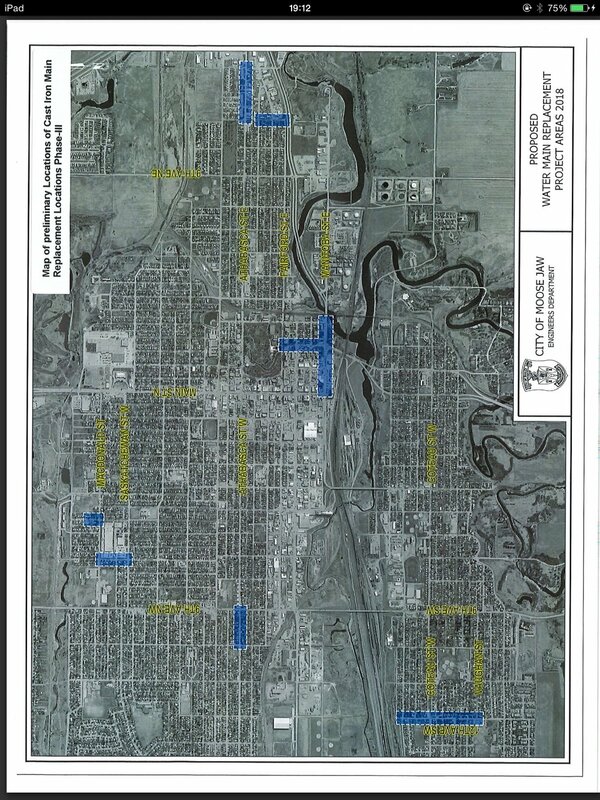 The preliminary planning for cast iron water main replacements was announced during city council on January 8th; and Moose Jaw is looking for its own Steve Austin, Bionic Man-like solution: "bigger, stronger, faster"
It needs to be noted that areas selected have been preliminarily selected; and are subject to change. The timetable for Phase III was also released. Design work is to be completed by February 7th. Tenders (contractor bids) will close February 27th and construction will begin on May 1st. Construction is scheduled for completion on October 31st. The main construction zone potentially affecting commercial businesses is preliminarily slated along Manitoba Street E from Main Street to 3rd Ave NE as well as teeing off from Manitoba St E up 2nd Ave NE to Fairford St E (in front of the Natatorium). Last year’s Phase II, on High Street West, drew considerable anger from area businesses and residents alike. As construction started late, appeared delayed or idle at times, water lines froze and work lasted well into November. The total Phase-III project costs are as follows: Estimated consulting fee $541,000, estimated construction costs $5,100,000, contingency $564,100 (10%) for a total estimated projected cost of $6,205,100. (Fees all calculated based on actual costs). Consulting fees will be covered by money carried over from 2017. For the third phase in a row, the city has selected Associated Engineering Ltd (AE) as their engineering consultant on the project. AE was rehired upon recommendation of the Engineering Department. So far the city has replaced 5.1 kilometres of cast iron water mains. There are approximately 79 kilometres of cast iron water mains with most of them having already reached the end of their service life.